Add a touch of glamour to your bedroom, dressing room or studio with our tall Venetian Mirror Finish Hollywood (Petite). The mirror is well crafted and looks stunning, great value. I really like the mirror and build quality. The quality of the mirror glass is excellent. The mirror was very well wrapped, but this comes at a price of lots of recycling. I think you could have a shorter mirror in your range, as I do find the mirror on my dressing table blocks out the light a bit. For me, the only location I have to put it is in front of the window. You could also sell magnifying mirrors that sit neatly on the front ledge. We all need one of those! I would recommend the product. Thanks. 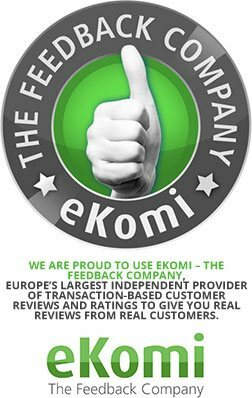 Beautiful mirror and outstanding customer service. Thank you. Follow us and tag us using #IMHollywood to have chance of being featured! Little Mix stars’ Hollywood Shrine! 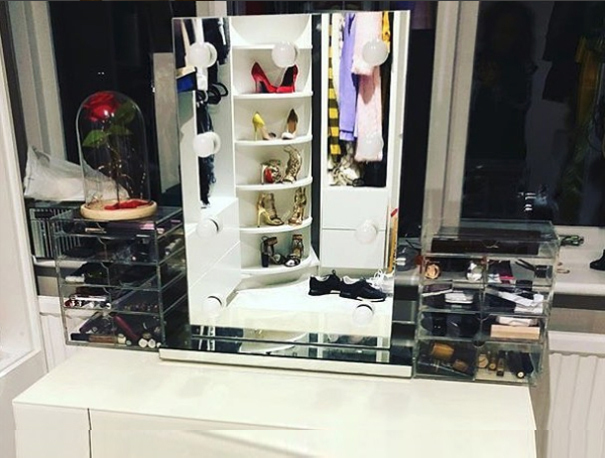 Our Hollywood Mirrors are used by a wide range of individuals; from professional makeup artists and stylists, to beauty bloggers and celebrities. One such celebrity customer is Leighanne Pinnock from the UK’s greatest girl group, Little Mix. Leighanne has one of our lovely Venetian Mirror Finish Hollywood Mirrors, which looks absolutely gorgeous (and taking pride of place!) on her vanity table. 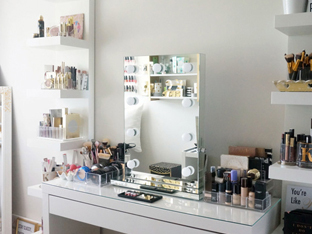 No vanity/ dressing table is complete without your very own ultimate makeup mirror. Great makeup starts with great lighting. Order yours today! Look behind the scenes of Britains Next Top Model, who opted for the elegant Venetian Mirror Finish Hollywood (Petite), and you can see that this high quality mirror provides maximum light coverage... perfect for applying makeup.